Relief located on the Administration Building of the University of Michigan. The building was designed by Harley, Ellington and Day and completed in 1949. This was a collaboration between Marshall Fredericks and architect Malcolm Stirred. 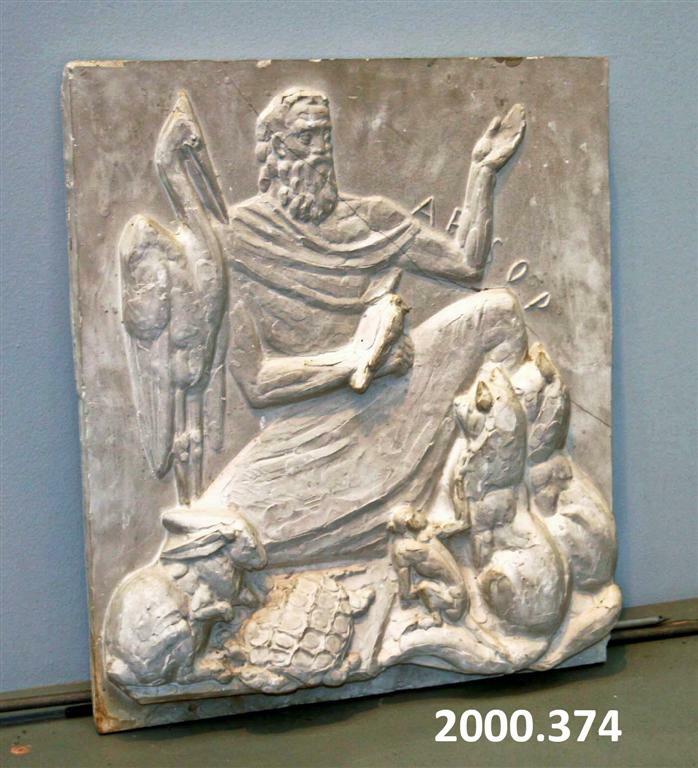 21" x 18" x 3"
“Aesop, [Plaster Relief],” Marshall M. Fredericks Sculpture Museum, accessed April 23, 2019, http://omeka.svsu.edu/items/show/6514.